A short tweet by fellow blogger Sascha Lobo brought me to smava.de and to the question if smava could also work in a country like Kenya? In other words: do we have to leave this interesting market to the big players only – who are good at targeting Kenyans abroad (~ trips from StanChan & Equity Bank CoKE to the UK & USA etc.)? 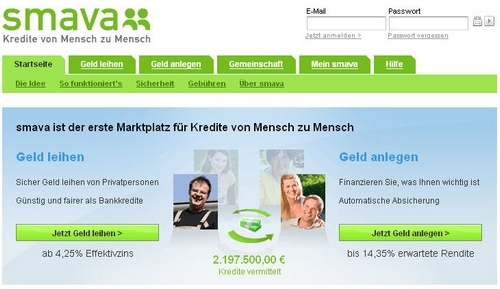 (The German) smava.de is similar to zopa.com – a “social lending” platform, much like kiva.org but targeted at everyone – unlike kiva that “lets you lend to a specific entrepreneur in the developing world, empowering them to lift themselves out of poverty”. So I was wondering: could zopa/smava also work in Kenya? As far as I’ve understood it so far, kiva is targeted at entrepreneurs in such areas where banks are far away and these kind of microcredits a good opportunity to obtain a loan to an otherwise non-existent alternative. 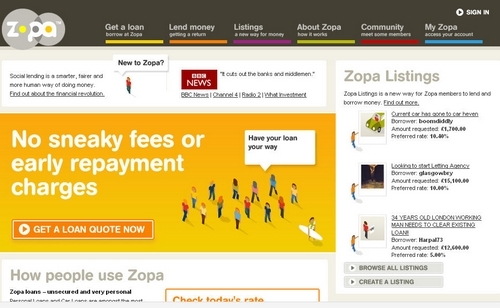 But what about zopa and smava that clearly depend on providing a risk assesment aka credit rating? Do we have such external rating services in Kenya for private customers? As for me, I was just thinking about how the provision of such an online platform could help pull back assets from abroad in a much easier and probably also much more interesting way as you get to choose where to invest + won’t have to pay your bank for this. Is it really that simple? Have a look @ Virgin Money (previously Circle Lending) in the US. It’s super easy & Virgin Money will match business loans made by friends and family once a borrower’s good credit gets established – (I’m guessing after a few loan repayments). I guess the biggest benefit for Virgin Money is that since you are lending to a friend or a family member, there is some sense of shared responsibility.